I am proud to introduce a new cosmetic dentistry procedure that is taking the UK by storm – The Inman Aligner. 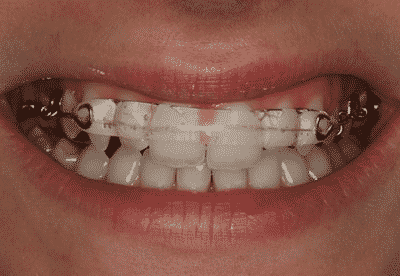 This revolutionary concept sees protruding or crowded teeth transformed in a matter of weeks! We treat many patients from Stoke-On-Trent, Newcastle-Under-Lyme and the Staffordshire area. If your teeth are a bit crooked and you want something discreet, removeable and extremely quick then the Inman Aligner might just be the solution for you. Treatment can take only 6-18 weeks depending on the complexity. Treatment is ideal if you have mild crowding to the anterior teeth or you had braces to straighten your teeth in the past and they have moved very slightly. All we require from you is to return every 2-3 weeks to have the aligner adjusted until we achieve the desired outcome.